Achievement/Trophy unlock ratios can be mildly fascinating. When researching our annual round-up of terrible games, for instance, we discovered most gamers gave up on the hellish adventure Agony before even reaching the second level. As for fellow 2018 flop Extinction, it seems that the majority could only stomach its inane repetition for a couple of hours, tops. Now here’s a game that’ll leave nobody behind. Planet RIX-13 is not only an incredibly straightforward affair, to the point that it’s hard to imagine anybody becoming stuck for more than a couple of minutes, but it also takes just an hour to complete. Don’t jump the gun here. 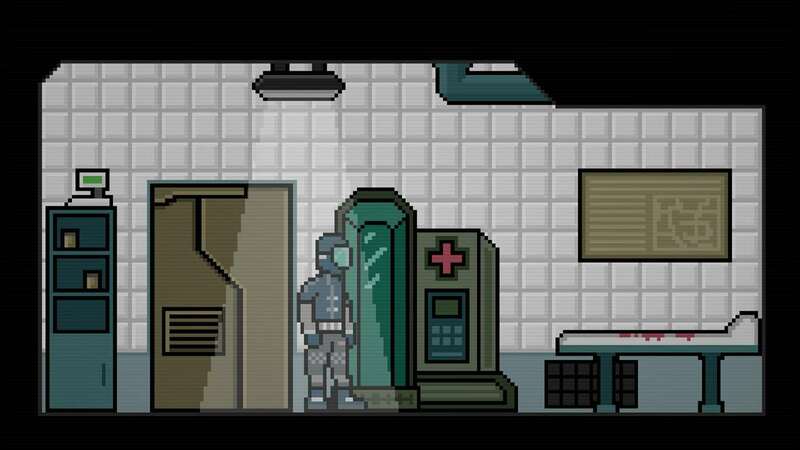 While short and a little lacking on challenge, this pixel art adventure – a modern take on the point ‘n click genre – is also hard to fault without resorting to nit-picking. That’s to say, it’s a short experience that’s executed in a manner most confident. We should also note that it’s launching at a low price point of around £4, depending on format, which excuses its brevity. You play as a space traveller who has crash landed just outside of an off-world science facility. After escaping the wreckage of their craft and patching themselves up, it soon becomes apparent something has gone awry. Not only is the facility in need of repair, but the scientists have suffered a cruel fate, seemingly at the hands of something unworldly. It’s up to you to finish their work, discover what happened, and escape the facility. The first port of call is getting the facility up and running by collecting server parts, repairing the power generator, and recalibrating the radars. Or to be more exact: item scavenging and some light puzzle solving. There are also a few instances where vital information, is cryptically hidden within e-mails and similar documents, accessed via computer terminals.